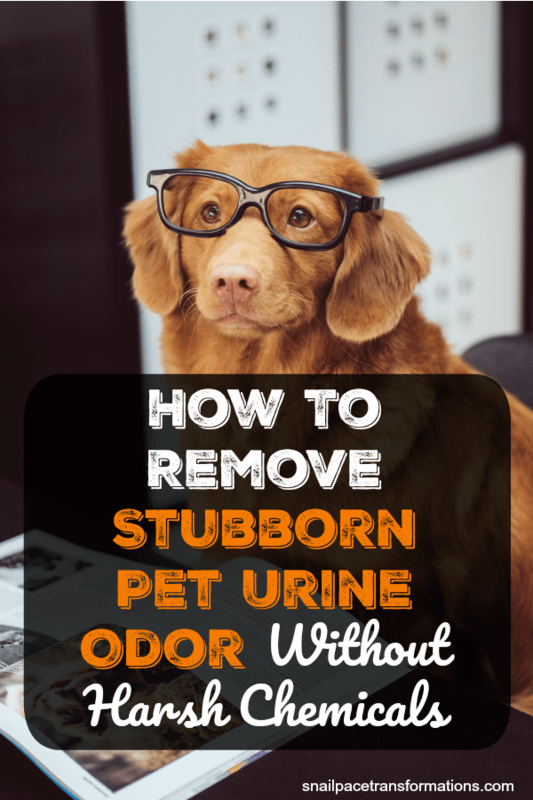 If you are like our family, you own a pet that has become such a part of the family that you are willing to do just about anything to keep them around–even if that means cleaning up a few pee accidents now and again. 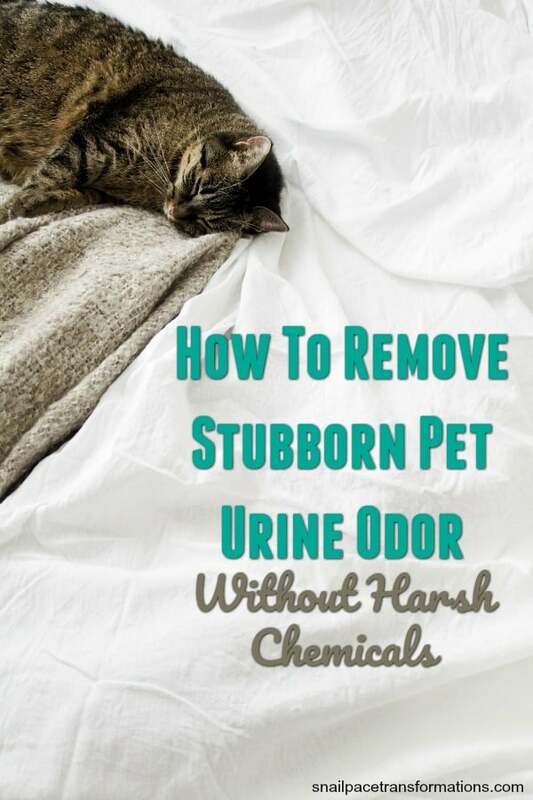 However, you also don’t want your home smelling like those pee accidents and yet you hate the idea of using harsh chemicals to remove pet urine odor. I get it. Meet Fancy, our 15 year-old rescue mutt. We adore her, but lately she has developed some old age problems, as in she has lost some of her bladder control. We recently took her to the vet and she is now on a medication that is helping, however, now we have lingering dog urine odors in the fibers of the rug she loves to sleep on–well at least we did until I finally found a product that took care of the odors for good! 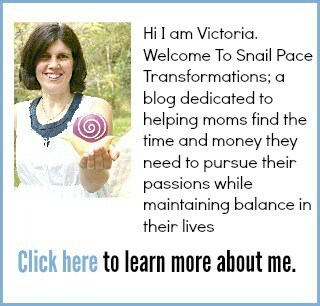 A week or so before Fancy was put on medications for her smelly urine leaking issues I received an email from OdorKlenz asking if I would be willing to do a sponsored post for their line of products. 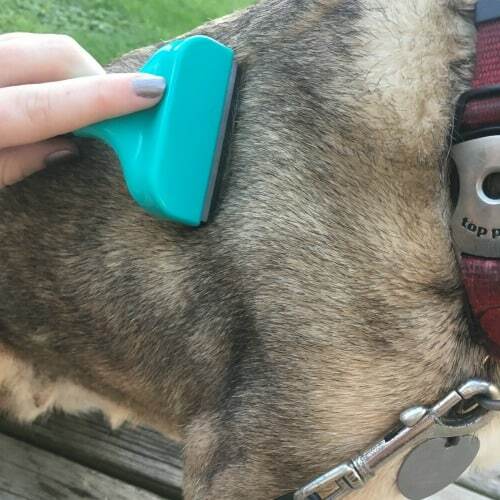 I had no idea what OdorKlenz sold so when I hopped over to their website and found out that they sold a non-toxic, odor eliminating product for pet urine I may have done a tiny happy dance! You see, I am not just an owner of a dog who has stunk up my rug with her pet urine, I am also a migraine sufferer and one of my migraine triggers is heavy fragrances, but OdorKlenz contains no masking agents. That right there solved my family’s biggest problem–how to get rid of the pet odor in our rug without giving me a migraine. 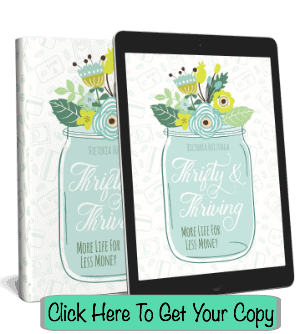 OdorKlenz is offering my readers a 15% discount when they use the code SPT15 at checkout. I suggest getting both the Pet Urine Odor Eliminator and their pet shampoo as you don’t want to make your rug smell nice only to have your smelly pet roll all over it. 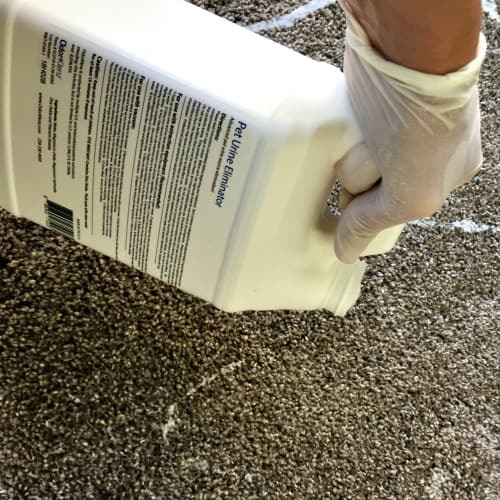 I should mention that although I chose to use the pet urine odor eliminator on my rug, it can be used in other places such as pet beds, fabric covered furniture, and on other non-delicate fabrics. I also want to make it clear that although I used it on older urine smells and it worked great, it can be used on fresh pet urine accidents. I learned how to use the OdorKlenz product from watching this video I found on YouTube and if you are a visual learner like I am, I think you will find it very helpful. There are also clear written instructions on the back of the OdorKlenz products. That said, I will now share with you all the steps I took with OdorKlenz Pet Urine Eliminator to rid my rug of pet urine odor thanks to OdorKlenz’s patented technology that removes odors at the source instead of just masking them. You might notice in these pictures that my rug is on top of the outdoor carpeting on my front porch. That is because we have old style non-water proof laminate flooring in our home and I was afraid that the RugDoctor I used to clean the rug would soak water through the carpet and onto the laminate below. So to be extra safe I cleared off my porch and put my 6×12 area rug on top of it. 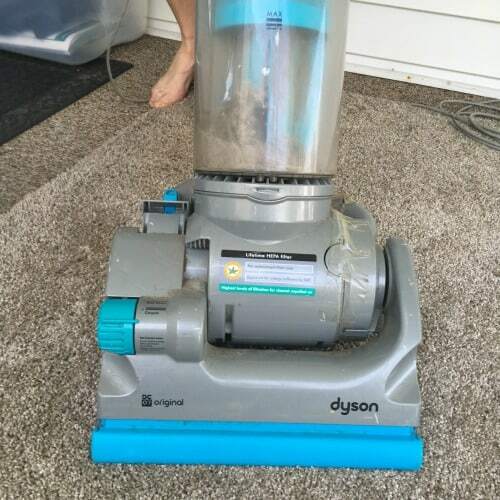 I then dragged my trusty yet slightly beaten up Dyson out onto the porch and gave the rug a thorough vacuum. I went over the rug dozens of times making sure I got as much debris out of the carpet as possible. I noticed on the back of the Pet Urine Eliminator bottle that a professional rug cleaner was recommended over a household carpet shampooer. I was blessed to find a couple from our church that was willing to let me borrow theirs. If you are removing a fresh spot in one area of the rug, there are quick and easy instructions both in the video and on the back of the bottle that explain how to use the product with a vacuum. The instructions said to dampen the whole area with warm water before running the rug cleaner. I put warm water inside of the machine and used the spray button on it to make the entire rug nice and damp. I then went over the carpet again with the device cleaning it with just plain warm water. Since I was doing an entire area rug and not just a small spot, I did steps 5 and 6 together. 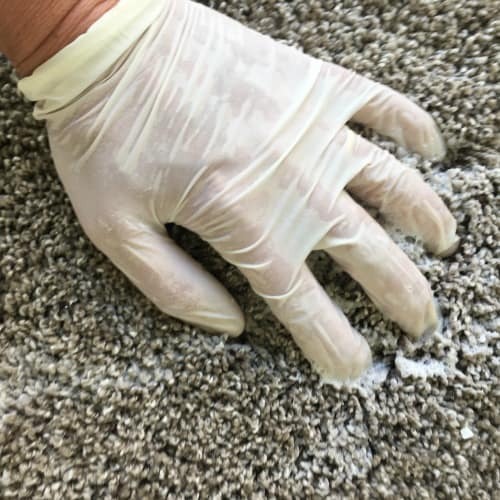 I poured a small amount of product into a small area and then used my hands to scrub it into the fibers of the rug and repeated these steps over and over until the area rug was covered. I put on some inexpensive latex-free gloves for this step. OdorKlenz is made from safe earth minerals and it is safe for both pets and humans, but I didn’t want to get any remaining dirt and other unsavory stuff stuck in the rug under my fingernails. I should also note that the 58 oz bottle is supposed to cover just 9 square feet of area and although I am not great at math formulas I am pretty sure a 6 feet by 12 feet rug is more significant than 9 square feet. I did manage to cover it reasonably well with the Pet Urine Eliminator product though. For this step, I grabbed two old towels and played a stepping stones game with them. 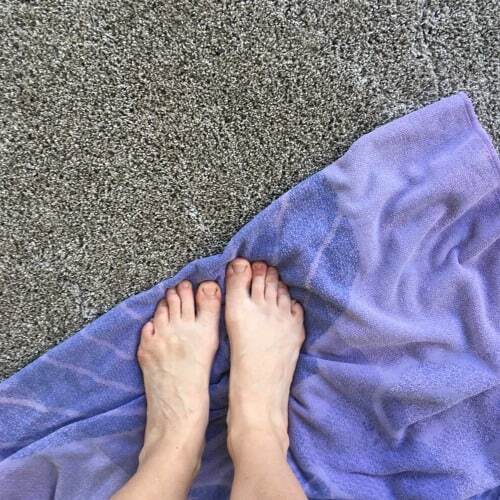 I would stand on one making sure I stepped all over it and then hop over to the other and do the same thing and then move the first towel. I did this over and over until I had covered the entire rug. 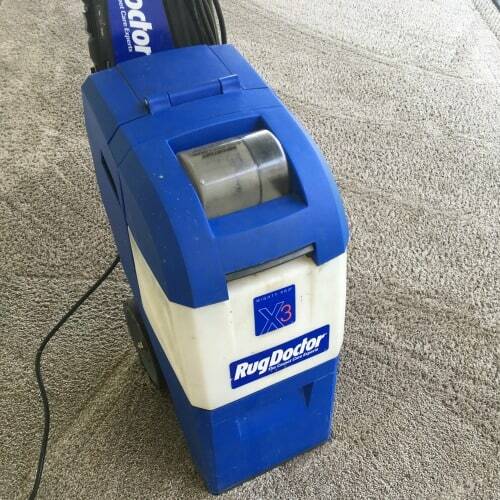 I went over the carpet using the RugDoctor filled with nothing but clean, warm water and then gave the rug a scrub with my hands again feeling for any leftover product residue. On the back of the bottle, it said to repeat the cleaning process two to three more times until the product residue has been completely removed. I found that I just needed to go over it one more time and the residue was gone. This was probably because I covered such a large area with a bottle intended for a much smaller area. If you are doing more of a spot treatment, my guess is you will have more residue to clean up. As I said earlier in the post, I knew that as soon as I put the rug back where it belonged our dog, Fancy would be all over it. That rug is her favorite place to sleep most of the day. To avoid her re-smelling up the carpet, I decided to give her a wash using Pet Shampoo from OdorKlenz. I got my daughter to help me with this as Fancy has never liked water. You should see the effort we have to take to get her to go outside and do her business on a rainy day. She is one stubborn dog. Before bathing Fancy, we like to brush out her fur first. We recently bought a PerfectCoat deshedding brush and it has helped keep down the amount of dog hair found on our floors and furniture. 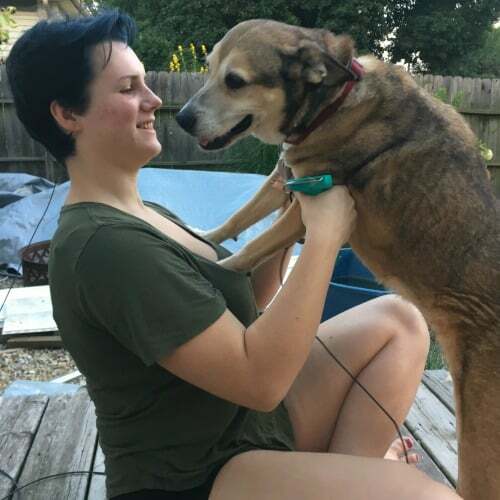 We put Fancy on her temporary backyard run cord (we are doing renovations to the backyard so it is temporarily without a fence to keep Fancy in and she loves to wander). 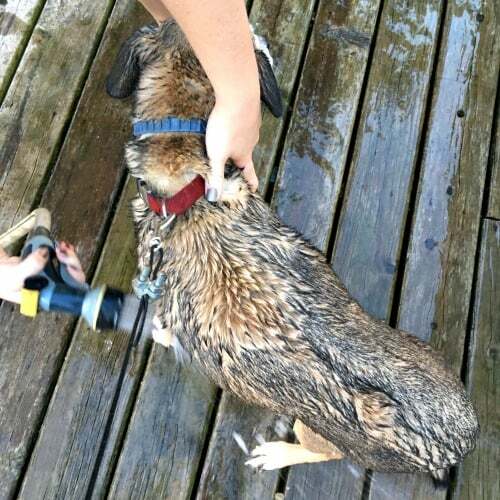 I held Fancy in place while Courtney sprayed her down with a gentle setting on the garden hose. Courtney then poured a generous amount of the pet shampoo on Fancy. She then worked it through Fancy’s coat from the tip of her head to her tail. She made sure to avoid her eyes. 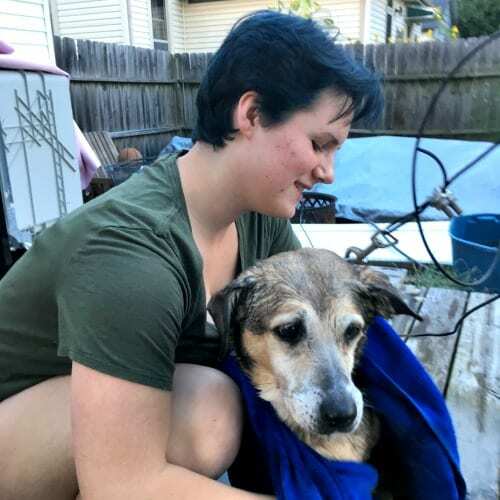 Once she was all sudsed up, Courtney gave Fancy’s coat a good rinse, followed by drying her off with a towel, and then Fancy began to do what all dogs do when wet–a full body shake that gets everything and everyone around her soaking wet. Once dried, we noticed right away that Fancy smelled much better. 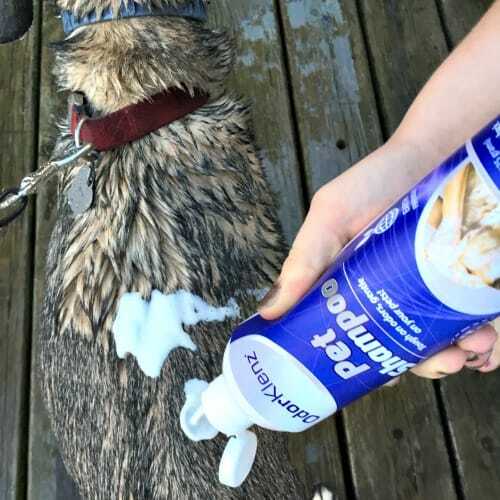 Even though OdorKlenz doesn’t use masking fragrances, it leaves your dog smelling like a clean dog. 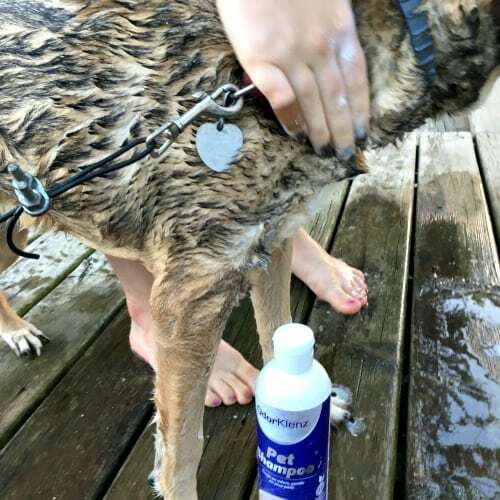 Even my one son who won’t pet Fancy because he says she leaves his hands smelling bad commented, “Hey, I can pet her now, it doesn’t leave an odor on my hands.” So, I would definitely use the product again! In fact, I would use both the OdorKlenz Pet Urine Eliminator and Pet Shampoo again. I was pleased with how it worked to remove the odor from both our rug and dog. 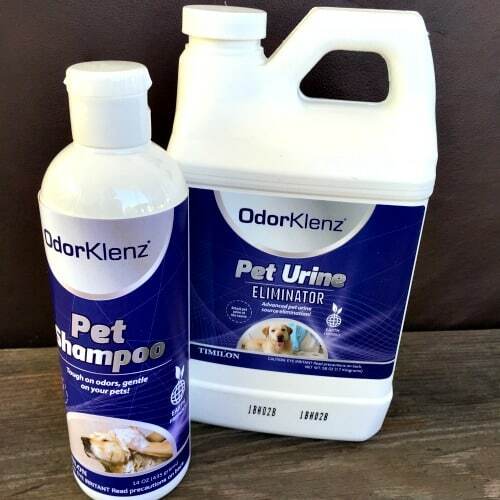 The product saved me having to spend several hundred dollars on a new area rug because I didn’t think I could get the lingering odor of old urine stains out of the carpet before I tried OdorKlez’s Pet Urine Eliminator. Oh–and I did not experience a single hint of a migraine during the whole process or after, which is another major win! OdorKlenz is offering my readers a 15% discount to try OdorKlenz products for themselves when they use the code SPT15 at checkout. 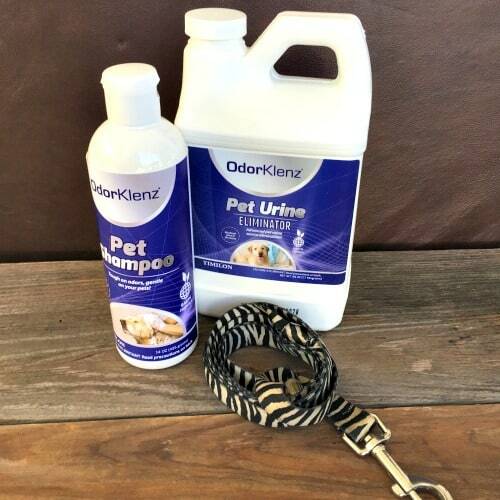 If you are struggling with masking pet urine odors made from a pet you love, disguise them no more and get rid of them for good with OdorKlenz’s line of Pet products.